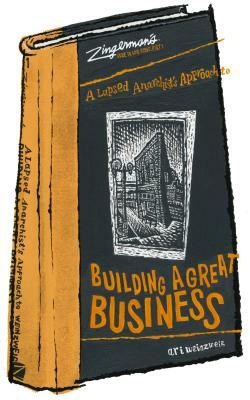 The first in a series of books by Zingerman's co-founding partner Ari Weinzweig examines the basic building blocks of the culture and structure we know now as Zingerman's. These approaches are applicable whether you're running a law office, a library, a restaurant, a record label, a software firm, or an organic farm. They are the behind-the-scenes "secret" stuff that goes into making a very special, sustainable business of any kind. Inc. Magazine calls it one of the Best Books for Business Owners.